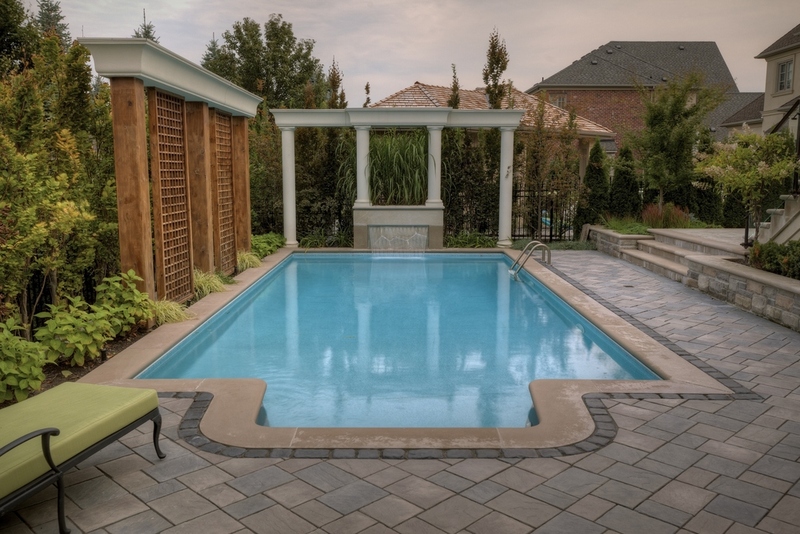 An inground swimming pool design will turn your backyard into an elegant outdoor resort. 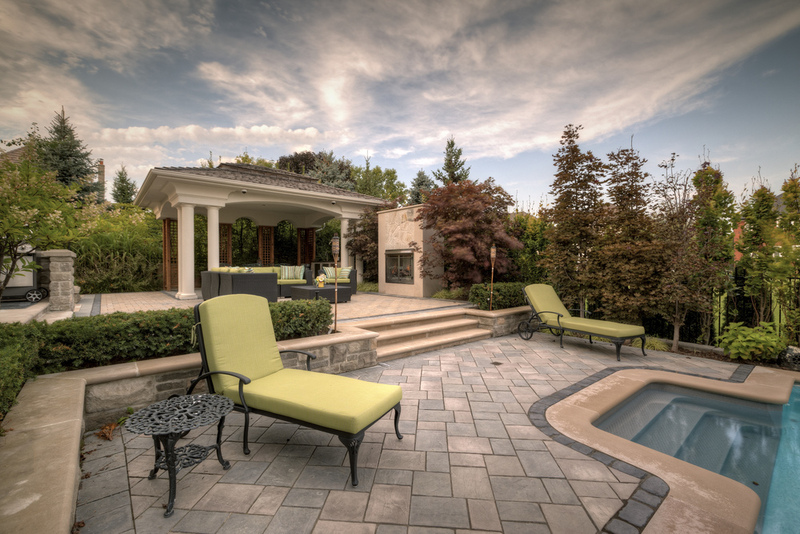 Darsan's landscape designers understand that every project is unique. We provide inground swimming pool design services and swimming pool construction. Darsan Contracting will oversee the execution of the total landscape project to ensure that the end result is a statement of our commitment to quality material and workmanship. 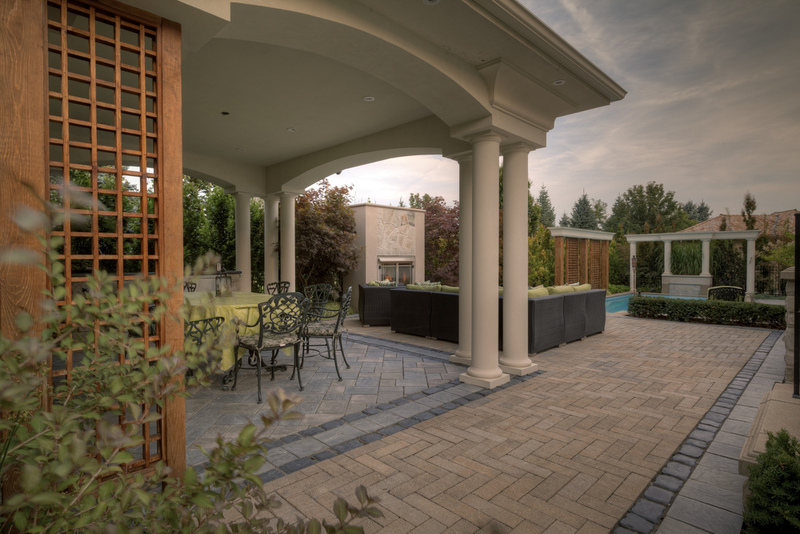 When you hire Darsan Contracting, the finished product will portray the vision the landscape designer and the homeowners imagined. 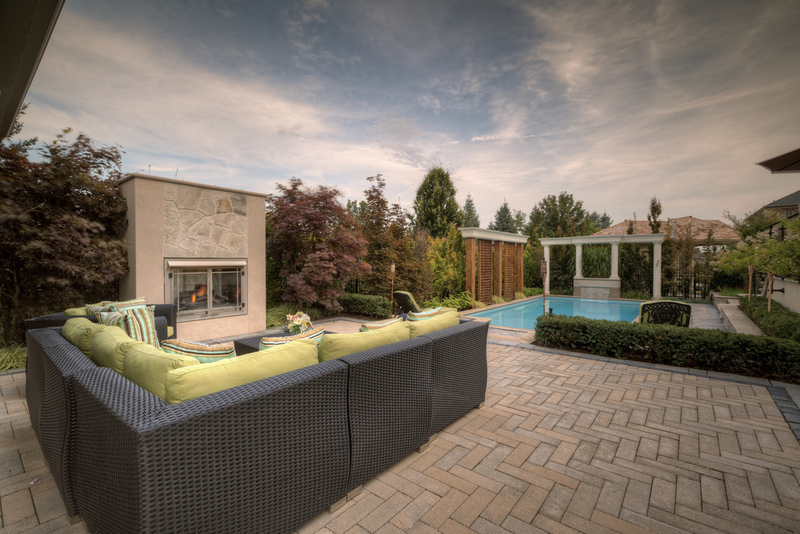 These home owners wanted a complete backyard that encompassed all the conveniences of the inside of their home. The wish list was extensive and the property had unique size limitations (long and narrow), which challenged the designer’s creativity. The wish list included an inground swimming pool, covered dining area, an outdoor lounging space that included a fireplace, barbeque area and privacy. Despite the restrictive space, we achieved the desired look and provided multifunctional spaces, with all the amenities the home owner requested. 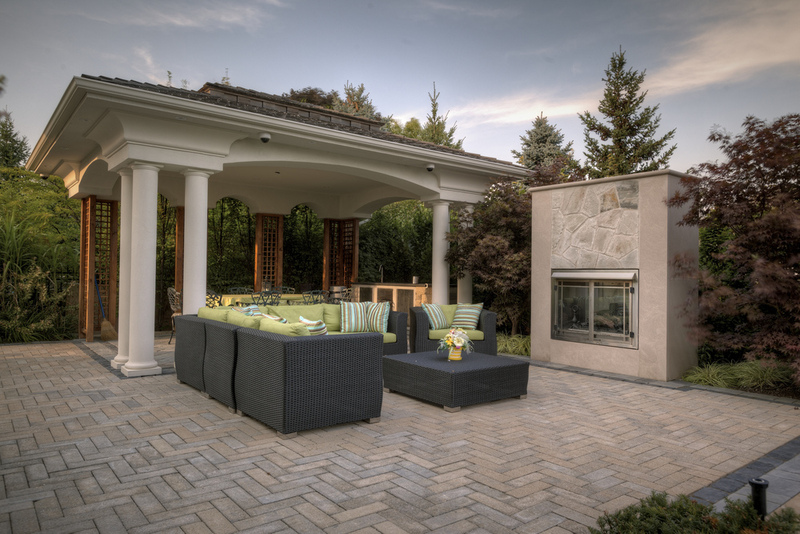 A custom barbeque surround was conveniently located between the outdoor dining area and within close proximity to the home’s back door. This provided uninterrupted access from the indoor kitchen to the outdoor dining area. The custom open-sided cabana included a wet bar with mini fridge. The gas fireplace emitted warmth in the cool evenings, and created visual interest and ambiance. The existing concrete terrace was veneered with natural flagstone. A new glass and iron railing replaced the existing concrete balusters, adding finishing touches and eliminating obstructed views. Custom screens together with tall, columnar trees provided the much needed privacy from the nearby neighbours.